My son turned 18 this past summer. He’s a typical kid, little above average in school, plays far too many video games, has to be reminded to do his chores, and prefers to spend most of his time with his girlfriend. He’s a thoughtful, not inclined to argue about politics or religion. He’s enlisted in the United States Army and reports for duty on the day before the general election. I reminded him for a couple of months after his birthday to register to vote. He kept telling me, “Yeah I’ll get to it.” I finally reminded him to register to vote while he was at his computer, and stood over him while he went online and registered. My son isn’t a fire-breathing conservative, but some of the literature that I gave him and the things he says suggest to me that he’s a conservative with a decided libertarian bent. He understands that the right to vote is not something to be taken lightly, and openly suggested to me once that you shouldn’t be allowed to vote until you perform some sort of federal service. When he said that, I was speechless; the only thing I could do was give them a hug. I reminded him of the people who gave their lives to guarantee this right for him to vote; that he should exercise it, if for no other reason than to honor them. He reminded me the one of the rights that they died for was the right not to vote. My son is politically aware, as he has heard my friends and me for years lamenting the destruction caused by government corruption and incompetence. He has an excellent grounding in history, and chose on his own to volunteer to serve in the US military, despite being accepted to four universities. He knows as well as or better than anyone his age what’s at stake, and stands to be directly affected by the consequences of this election. Yet this year’s circus of a presidential election has discouraged him from participating, to not vote. The presidential election is the most highly publicized election in the American political cycle. Because of this publicity and importance to the country, presidential elections typically have the highest voter turnout of any other election. This year many believe the two main political parties have fielded what are arguably the weakest candidates in American presidential election history. Neither presidential candidate has the enthusiastic support of their own party. Instead of a hopeful vision of the future, many voters think both campaigns seem to be in a race for the bottom. 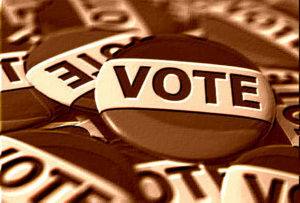 The presidential election is the biggest draw of voters and this year many potential voters dislike both front-runners. Many people believe that whichever of these candidates wins, the country will lose. Despite the enthusiastic rhetoric of the true believers on both sides of the election, 2016 may see the lowest percentage voter turnout for a presidential election in decades. This has serious implications for the down ballot-elections, a fact not lost on many Republican candidates whose hopes of winning rely on voter turnout. Conservatives are typically fickle voters. They’re thoughtful, and typically well-informed on the issues. Most are likely to tell you that they rarely vote for a candidate, as much of as vote against the other guy—which tells us something about the general quality of candidates. Many liberals, on the other hand, are ideological voters. Whether it’s a woman’s right to choose, union politics, income inequality or the perception of minority rights, these voters have a passionate basis for their beliefs with a breathtaking inability to see their candidate’s broader flaws. This passion translates into a much stronger motivation to vote than simply voting against the other guy. The important thing to remember this election cycle is that your vote is important and it does count. Even in the presidential election you may feel you’re choosing between the lesser of two evils, or casting what many will tell you is a throwaway vote for a third-party candidate who better reflects your personal values. Such a protest vote can never be considered wasted, as eventually enough of these votes prompt major change. The major parties have always attempted to ‘trap’ target voters with the spectre that a vote for a third party candidates is a wasted vote. When successful with this contrived control technique, the party establishments grow more arrogant and corrupt. However, when enough citizens who form a party’s base don’t play along, they’ll regain ground in the political battle. More importantly, voting for state-wide and local races and ballot initiatives (the Down Ballot) is critical, regardless your presidential vote. The current Republican majority of the US and Washington state Senates hang by a razor thin margin and could easily be lost. State elections are critically important, and could result in it state government that’s either fiscally responsible, or wildly irresponsible. The importance of state elections is demonstrated by the increasingly bankrupt state of California. Many candidates on our ballots today want to follow in California’s footsteps, and their decisions will have a direct impact on every working person in Clark County if they’re allowed to get more access to your money by passing a state income tax. November’s ballot has initiatives on it that, if passed, will directly affect the lives of all Washington residents. Initiative 1433 seeks to enact Seattle’s disastrous minimum-wage law statewide, despite the economic debacle experienced by Seattle. Initiative 732 seeks to hobble the state’s manufacturing economy by imposing a carbon tax to fight an environmental condition that scientists can’t even agree exists. Initiative 1491 ignores existing laws and seeks to restrict access to firearms by any citizen without due process. These three initiatives alone stand to affect your finances, your job, and your constitutional rights. If you choose to stay home because you don’t like the major party presidential candidates, you’re abdicating your decision-making ability to the true believing social justice warriors who support this sort of nonsense. We cannot stress enough the importance of local elections. Last year’s apathetic voter turnout contributed to a county council that has brought back big-government arrogance. This includes enacting County growth policies that directly restrict the rights of rural landowners to capitalize on the value of their property. Please vote. Whether you hold your nose and vote for one of the front-runners, or vote your principles for a third-party candidate, or write in Mickey Mouse, the other candidates and the other issues on the ballot need your consideration. There is much in the balance in Washington State as demonstrated by this article. For the record, I’m proud to say my son did vote. He’s another citizen sick of the establishment games of the major political parties. More important, his small-government thinking provided one more vote to local candidates and ballot measures that need support to win.